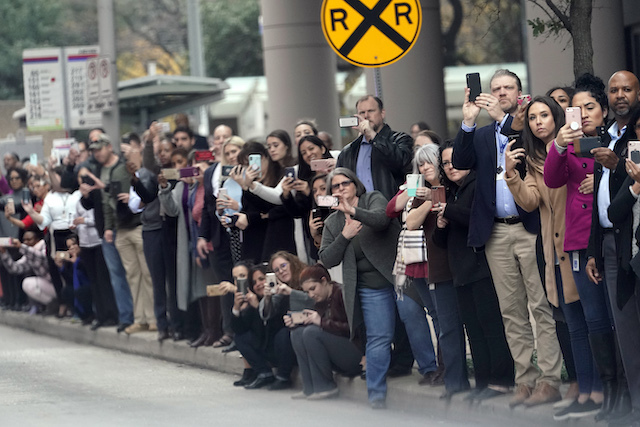 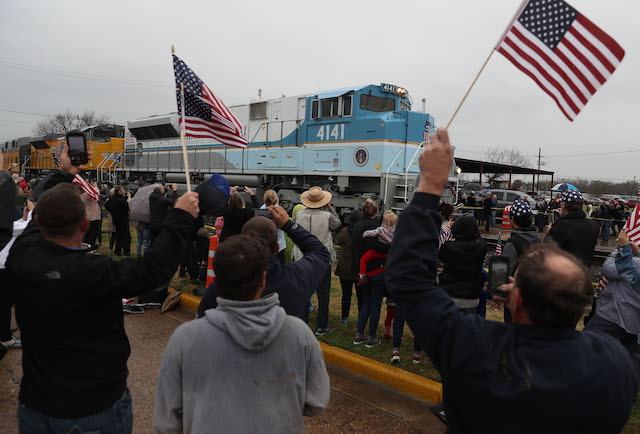 Out the window, Bush, 43, waved at all the people along the train route, who had come out to pay their final respects and say goodbye to the 41st president, standing under umbrellas and carrying American flags. 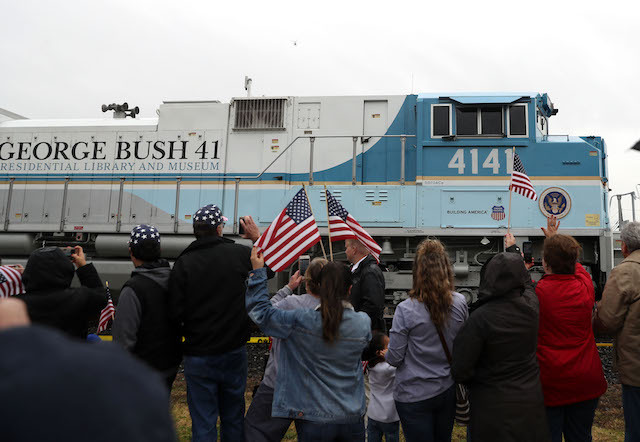 The train, numbered 4141 and painted blue and white like Air Force One, read, “George Bush 41 Presidential Library And Museum” with the American flag painted on it. 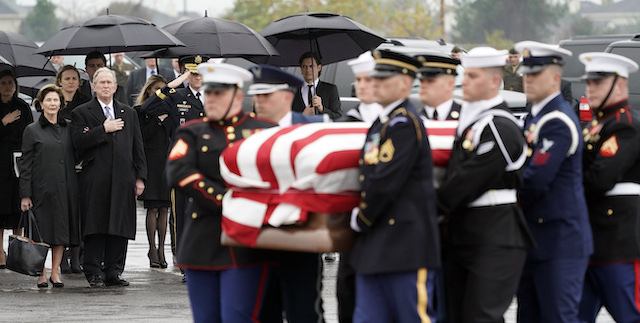 The final route followed a week of ceremonies honoring and celebrating the president’s life and service to the country.